Our rich industrial past, and the subsequent redevelopment of land on which factories, mills and warehouses once stood, has led to a significant health and safety issue in the form of asbestos in soil. Derelict and disused areas of land, known as ‘brownfield’ sites, are being used to address the UK’s housing crisis, but with the obvious benefits of this come the dangers of asbestos soil contamination, and an ensuing risk to those working on-site. 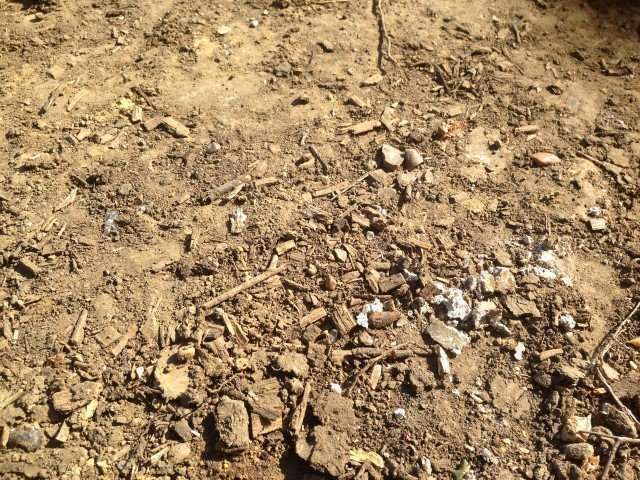 Why is asbestos found in soil? The buildings originally sited on brownfield land are likely to have contained high levels of asbestos, being constructed at a time when asbestos containing materials (ACMs) were widely used to insulate and fireproof. Lagging for pipe work and boilers, and sprayed coatings for fireproofing walls, ceilings and steel columns, were just two common uses. But it was the sheer overall volume of asbestos in industrial buildings that introduces the risk of contamination in soil following demolition. The problem is further exacerbated by the fact that asbestos use was only banned in the UK at the end of 1999, so effectively any building constructed prior to this could have contained the substance. So why does asbestos in soil pose a danger? Asbestos in soil is a key health and safety issue, not only for construction workers and other professionals working on these sites, but also for local residents and buyers of the new homes. During the demolition process microscopic asbestos fibres can easily be released into the air, or alternatively, may remain in the ground. As they’re not readily visible, they can cause health issues if subsequently disturbed by homeowners. Asbestos is a known carcinogen that causes serious and terminal illnesses when inhaled or ingested, and a high number of deaths have been attributed to asbestos over previous decades. Apart from the legal obligations of construction companies to protect their workforce, residents in the areas earmarked for brownfield development, as well as the house purchasers themselves, are likely to need reassurance that investigations have been undertaken and any asbestos safely removed. It’s possible that conveyance documents won’t reveal the existence of asbestos if it lies buried in the soil, and therefore more detailed investigations including asbestos surveys and testing may need to be carried out. If you require asbestos in soil testing and analytical support, we can provide the professional assistance you need. Acorn Analytical Services offers asbestos testing and inspection services – we can provide a fixed price quote and free, impartial advice based on the results. Please contact one of our expert asbestos consultants to discuss your needs.